Brunette Hair Color Shades and Ideas. The new brunette hair color shades and ideas are far from boring! Get natural or funky hair color and highlights ideas for brown hair to find the shades that will suit your skin tone and eye color with lots of tips for brunette hair care! Year by year, brunette hair color remains in fashion. But in 2010 there will be a move towards darker shades. The new brunette hair color shades will fall in two categories – natural and organic, daring and dramatic. 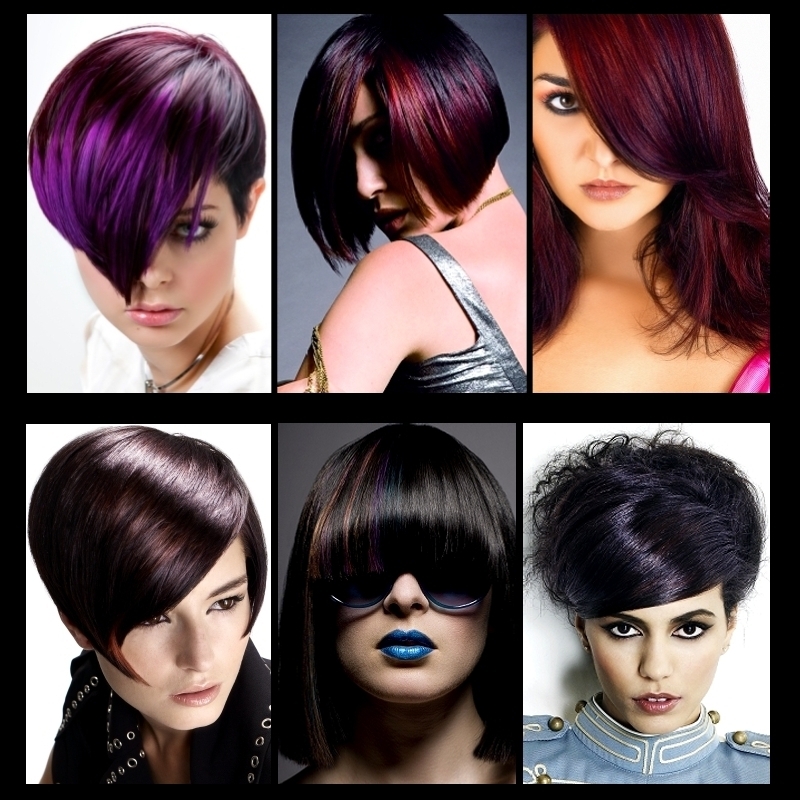 The focus will be on creating a high gloss finish with full-on tones of expresso, damson, plum, violet and mahogany. It is vital to chose the right brown hair color shade if you want your skin to glow and your eyes to sparkle. Warmer skin tones have an olive undertone and will suit earthy shades of clay and warm browns. 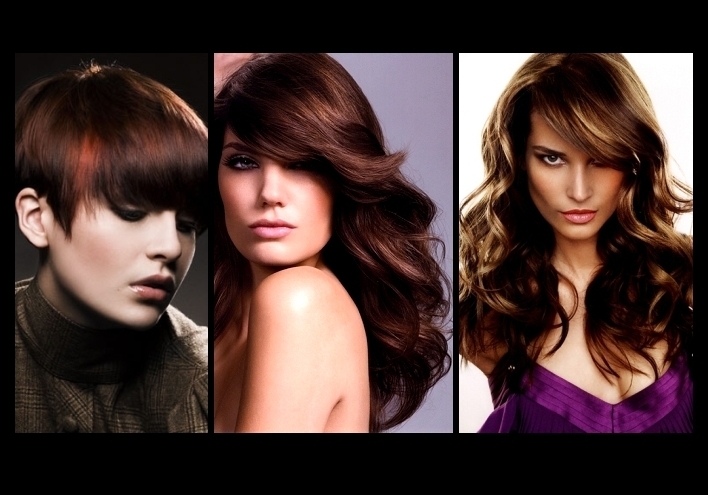 You can tailor rich warm browns to suit your skin tone by adding warm chestnut highlights. Dark chocolate tones look great with a light tan and can also take copper lowlights, cherry or plum shades. In contrast, cooler skin tones have a pink-based undertone and will work best with shades like cool rose browns, deep cherry, mahogany and soft brunette shades. These tones will work in harmony with a cooler coloring. Pink-based skin tones go well with cool shades of blue-black if you want something more intense. Jet black is the hardest shade to pull off – a deep shade of expresso will be intense and more flattering. Shampoos and conditioners containing horse chestnut will enhance most shades of brown. Prevent root regrowth by going for a panel color on the underneath of your hair! If you want a natural, sun-kissed look add lowlights and lighter shades of color around your face. Darker hair reflects light more than any other shade. Make the most of your brunette tone and keep a shine spray to hand! If you regularly dye your hair, prevent brittle ends and apply conditioner before going to bed. Rinse out in the morning for glossy hair. If you're going several shades darker, don't forget to update your makeup bag!